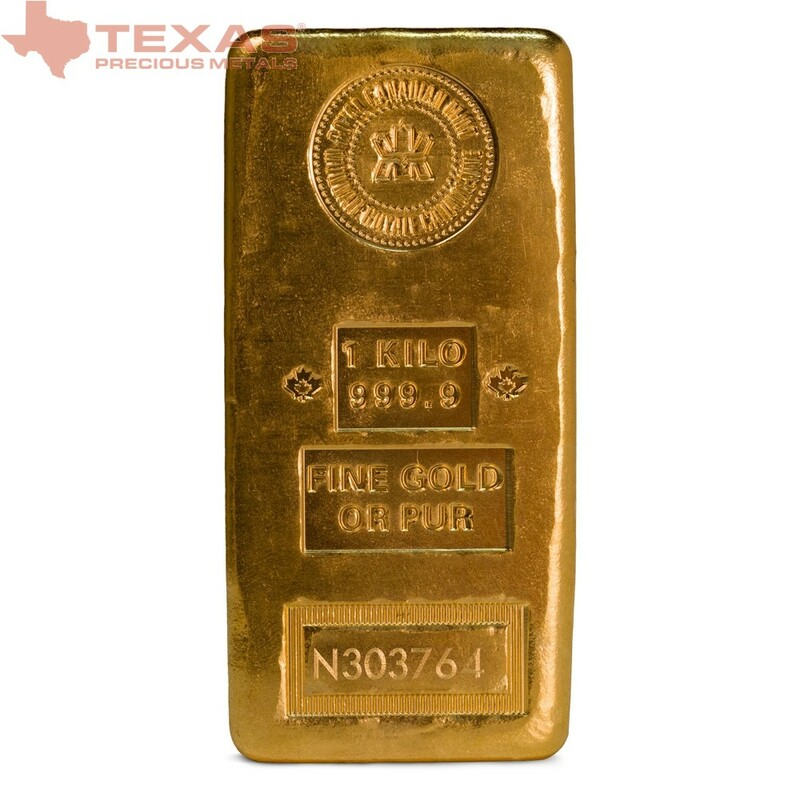 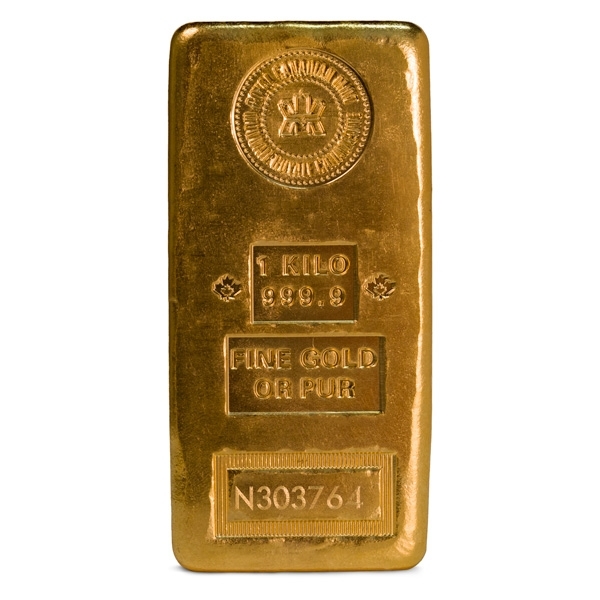 The 1 Kilo Royal Canadian Mint Gold Bar (32.15 oz.t Gold) is produced by one of the most technically advanced and respected Gold and Silver refineries in the world, the Royal Canadian Mint. 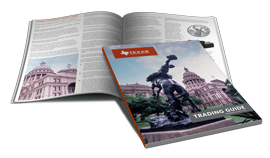 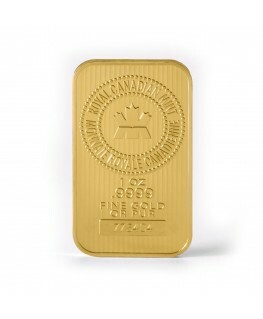 Founded in 1908, the Royal Canadian Mint (RCM) is the official Mint of Canada, headquartered in Ottawa, and operates as a Crown corporation, producing more than one billion circulation coins every year for more than sixty countries. 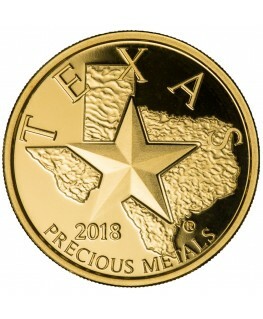 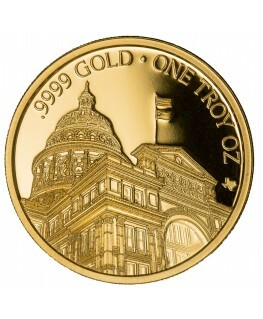 The most popular coin is the Silver Maple Leaf Coin. 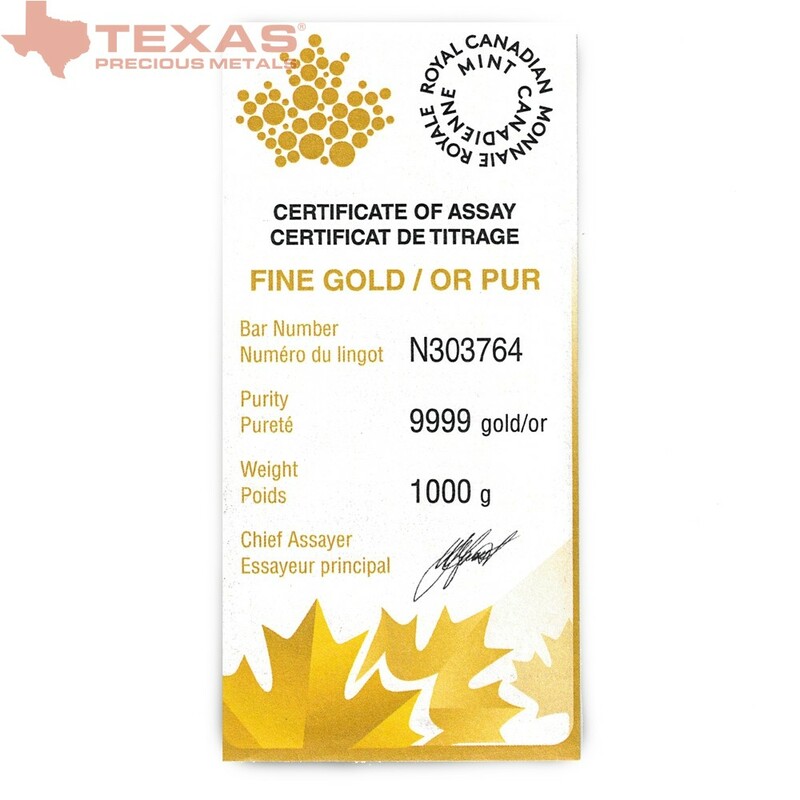 Maple leaf hallmarks on either side of the weight and purity stamp—1 Kilo, 999.9—testify to the authenticity of each Royal Canadian Mint Gold Bar. 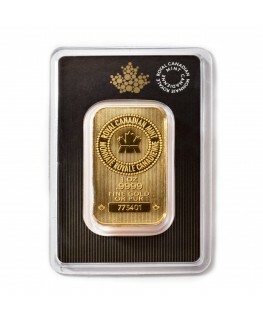 In light of revelations about illegal and inhumane Gold mining operations in places such as the Democratic Republic of Congo, newly minted RCM Gold Bars offer an additional security feature: micro-engraved vertical lines—inspired by the background of radial lines on modern Royal Canadian Maple Leaf Coins—surrounding the unique serial number in a rectangular border. 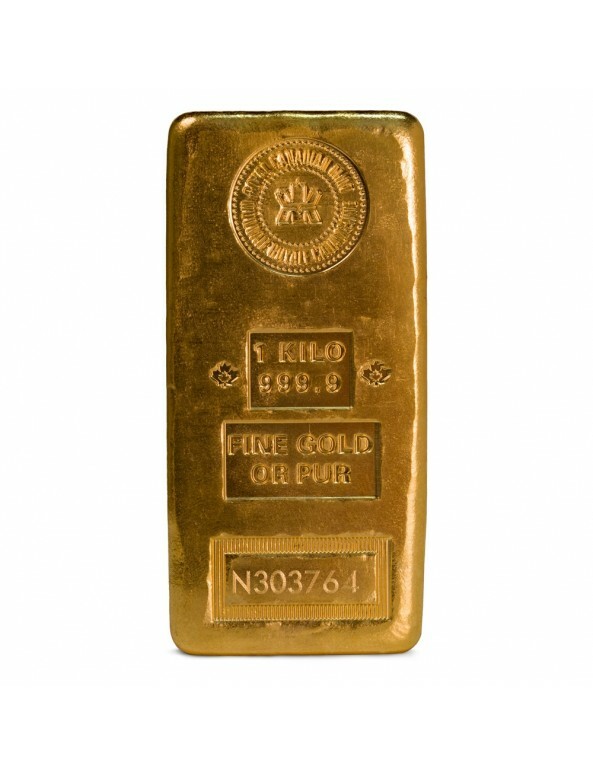 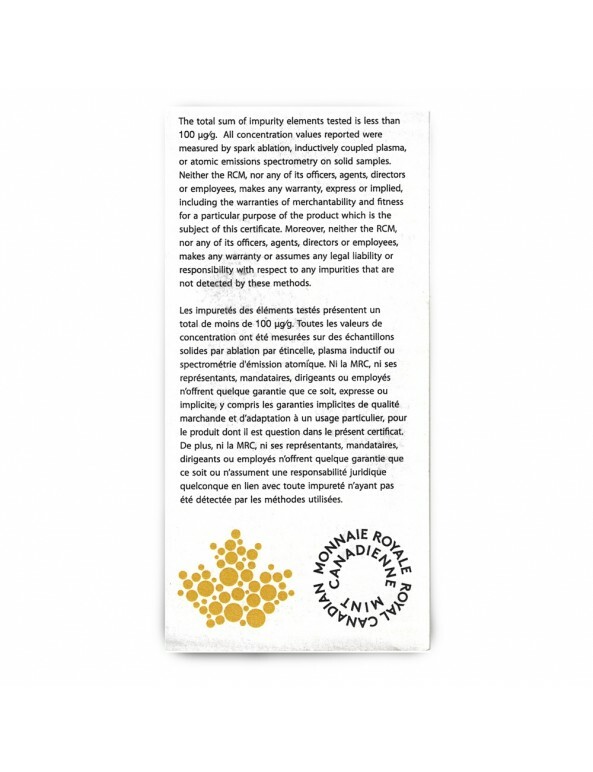 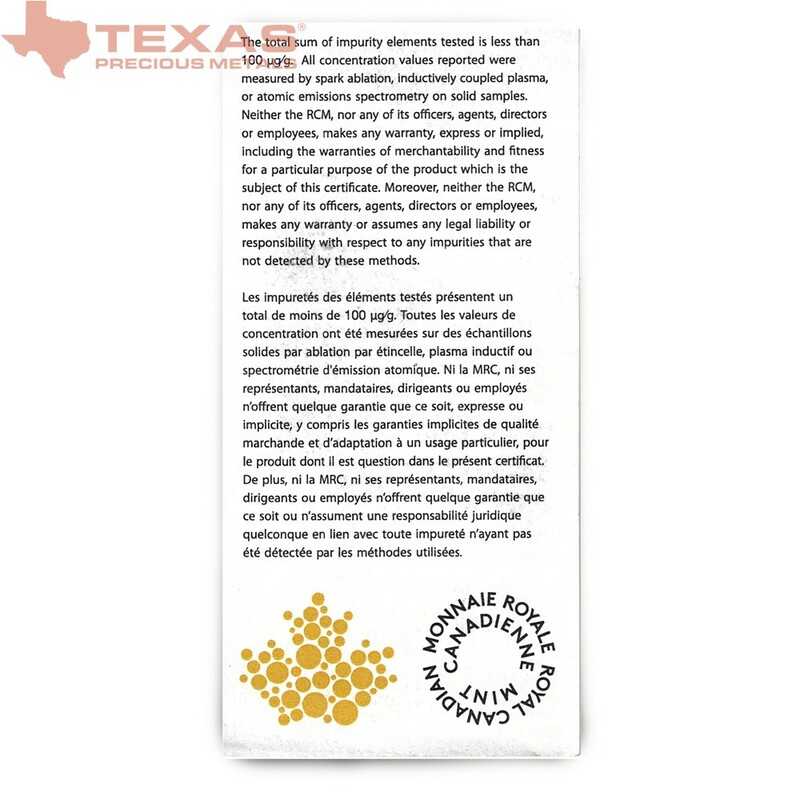 Each 1 Kilo RCM Gold Bar is accompanied by an Assay Certificate, indicating that the Mint and the Canadian government guarantee the weight and purity of each of these IRA-eligible Gold bar products. 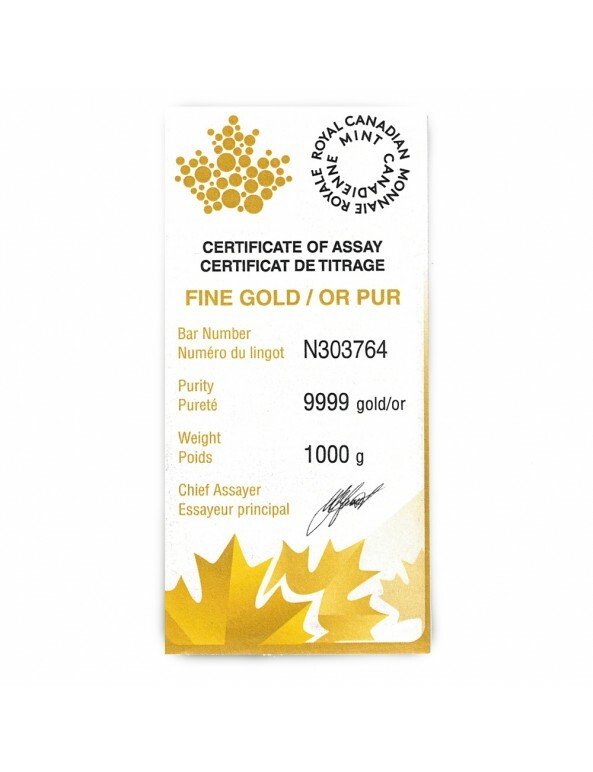 The design on the front of each Royal Canadian Mint Gold Bar is recognized by precious metals investors worldwide. 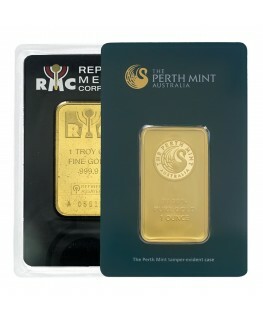 The name of the mint is featured on the obverse in both English and French; “Royal Canadian Mint” and Monnaie Royale Canadienne encircle the RCM symbol, which is a stylized maple leaf emerging from the letter M. Beneath this RCM logo, the weight and purity are engraved along with a serial number that is unique to every single Gold bar.